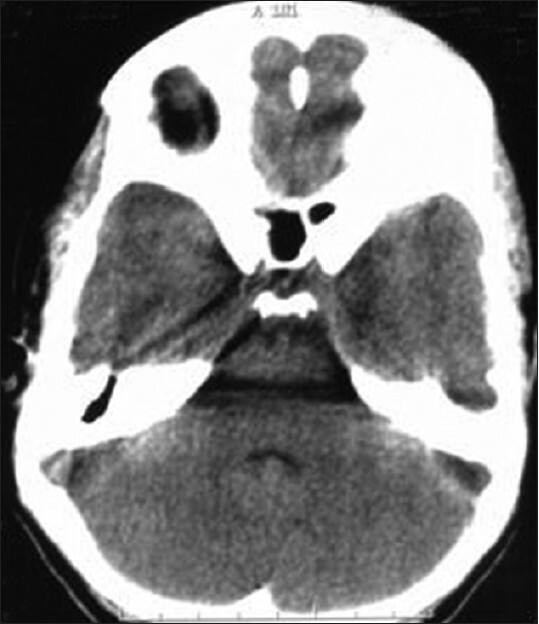 Lateral sinus thrombosis (LST) is a rare but potentially life-threatening intracranial complication of Acute Otitis Media (AOM) and associated mastoiditis. LST is the second most common intracranial complication of AOM with modern day mortality rates of as high as 5-10% reported in literature. The management of LST has always been controversial. We report a case of young female with atypical presentation of LST. The purpose of reporting this case is to discuss an atypical presentation of LST in modern era of antibiotics and to discuss the management algorithm pertaining to LST. Furthermore, the role of anticoagulants and prothrombotic factors in LST has been reviewed. A 12-year-old child presented to pediatric causalty with high-grade fever for 3 days and vomiting for 1 day. The child had an episode of left ear pain 2 weeks back. Ear pain was preceded by an episode of upper respiratory tract infection. Patient was taken to local hospital where, on ear examination, wax was present in both the ear canals. Immediately, after bilateral ear cleaning, patient had sudden onset severe occipital headache. Contrast-enhanced computed tomography (CECT) head was performed to rule out intracranial pathology as a cause for sudden onset occipital headache. CECT head, however, showed no abnormality. Patient was admitted and started on intravenous (IV) antibiotics. High resolution computed tomography (HRCT) of temporal bone showed left otomastoiditis without coalescence or bone erosion and positive "delta sign" suggesting LST [Figure 1]. Magnetic resonance venography (MRV) was performed to evaluate extent of thrombosis, which showed loss of signal intensity from left transverse and sigmoid sinus and jugular bulb on phase contrast sequence [Figure 2]. Post-contrast T1W images showed positive "delta sign" with filling defect within the lumen of transverse sinus, sigmoid sinus, and jugular bulb on left side. There was opacification of epitympanum, mesotympanum and aditus ad antrum. Patient was started on anticoagulant (low-weight heparin). However, after the initial response, patient again had high-grade fever with chill and rigors and an episode of vomiting. Patient was then referred to our center for further management. On examination, patient was febrile and had tachycardia. There were no signs of meningitis. On otoscopic examination, left sided tympanic membrane was congested and non-bulging. On the right side, tympanic membrane was normal. Bilaterally Rinne's test was negative and Weber test was lateralized to left ear. Patient was stared on IV cefepime and linezolid and continued on low molecular weight heparin. Fundus examination showed no evidence of raised intracranial pressure (ICP). Patient responded to treatment with no spikes of fever and no further episodes of vomiting. Lumbar puncture showed no evidence of meningitis. Patient was continued on IV antibiotics for 2 weeks and required no surgical intervention. Serial ultrasound of neck showed no progression of thrombus into internal jugular vein (IJV).Patient was discharged on warfarin for 3 months and kept on regular follow-up. There is no relapse of symptoms until date. LST is a rare but potentially life-threatening complication of AOM and associated mastoiditis. However, in the modern era of effective antibiotics the incidence of LST has come down significantly. Still it accounts for 2-20% of all intracranial complications associated with otitis media in childhood. The pathophysiology for LST in the setting of AOM can be osteothrombophlebitic extension through small venules resulting in the formation of mural thrombosis. Mural thrombosis propagates further leading to obliteration of the sigmoid sinus. Another mechanism described in the setting of AOM is classical erosion of bone covering the sigmoid sinus. This leads to perisinus abscess formation. Further inflammation of outer and inner walls of sinus results in the formation of mural thrombosis. In our case, the pathophysiology was osteothrombophlebitis of small venules as evident from radiology of temporal bone (HRCT temporal bone). There was intact sinus plate with no coalescence of mastoid air cells. The presentation in the era of easily accessible antibiotics has been reported to be variable. The classical presentation described was high-grade fever (picket fence appearance) associated with deep boring otalgia and purulent otorrhea (often blood stained). Classically beta-hemolytic streptococci have been cultured from blood with patient having pallor and low hemoglobin. Progression of thrombosis to IJV caudally and confluence of sinuses cranially can present as neck stiffness and features of raised ICP respectively. Apart from the classical features, patient may present with headache, nausea, vomiting, dizziness, photophobia, anorexia, and blurring of vision. Otoscopy generally reveals congested tympanic membrane with or without perforation. Patient may have sixth or seventh cranial nerve palsy. However, in our case, patient neither had any cranial nerve palsy nor papilledema. Some subset of patients may present only with neurological features rather than otological features of LST especially in pediatric age group. This group of patients may have headache, nausea, vomiting, photophobia, nuchal rigidity, ataxia and abducens nerve palsy as their presentation. A careful history needs to be elucidated regarding preceding episode of AOM. In the era of broad spectrum antibiotics, initial otological symptoms may be resolved or masked. In recent years, magnetic resonance imaging (MRI) and MRV has been advocated to increase the diagnostic yield of LST. , MRV helps to distinguish between slow venous flow and occlusive thrombus, which can be even missed on spin echo MRI. In our case, MRV defined the extent of thrombus formation in sigmoid sinus, transverse sinus and proximal IJV. The role of anticoagulants remains unclear in case of otogenic LST. Bradley et al. based on their data advocated that thrombus limited to sigmoid sinus can be managed without anticoagulants to avoid associated risk of anticoagulation. The role of anticoagulant has been defined in conditions where there is evidence of thrombus progression, neurologic changes, persistent fever, or embolic events. In our case, anticoagulants were used because of persistent fever and thrombus progression to proximal IJV. Another factor which has been believed to play an important role in LST is prothrombotic disorders either acquired or hereditary. Congenital hypercoagulabiltiy states include deficiencies of protein C, protein S, and antithrombin, elevated levels of homocysteine, antiphospholipid antibody syndrome, Factor V Leiden mutation, dysfibrinogenemia, plasminogen deficiency and elevated levels of factor VIII, IX, XI, and XII. , In our case, however, work-up for prothrombotic factors was negative. The treatment options described for AOM with LST are manifold. Christensen et al. has advocated a simple algorithm for LST management. They suggested surgery in the form of either ventilation tube insertion or mastoidectomy for those cases who had positive LST on MRV associated with fever, mental status changes and leukocytosis. Other cases without these associated factors can be managed with antibiotics and anticoagulants. Our case showed significant improvement after IV antibiotics and anticoagulants and therefore, no surgical intervention was done. LST associated with AOM is rare but potentially life-threatening condition. Presentation can be atypical in the setting of broad spectrum antibiotics. MRV can be helpful to increase the diagnostic yield, in addition to CECT. Management needs to be individualized based on clinical response to treatment algorithm. 1. Bales CB, Sobol S, Wetmore R, Elden LM. Lateral sinus thrombosis as a complication of otitis media: 10-year experience at the children's hospital of Philadelphia. Pediatrics 2009;123:709-13. 2. Christensen N, Wayman J, Spencer J. Lateral sinus thrombosis: A review of seven cases and proposal of a management algorithm. Int J Pediatr Otorhinolaryngol 2009;73:581-4. 3. Levine SC, De Souza C. Surgery of the ear. In: Glasscock III ME, Gulya AJ, editors. Intracranial complications of Otitis Media. 5 th ed. Ontario, BC: Elsevier; 2005. p. 444-61. 4. Bradley DT, Hashisaki GT, Mason JC. Otogenic sigmoid sinus thrombosis: What is the role of anticoagulation? Laryngoscope 2002;112:1726-9. 5. 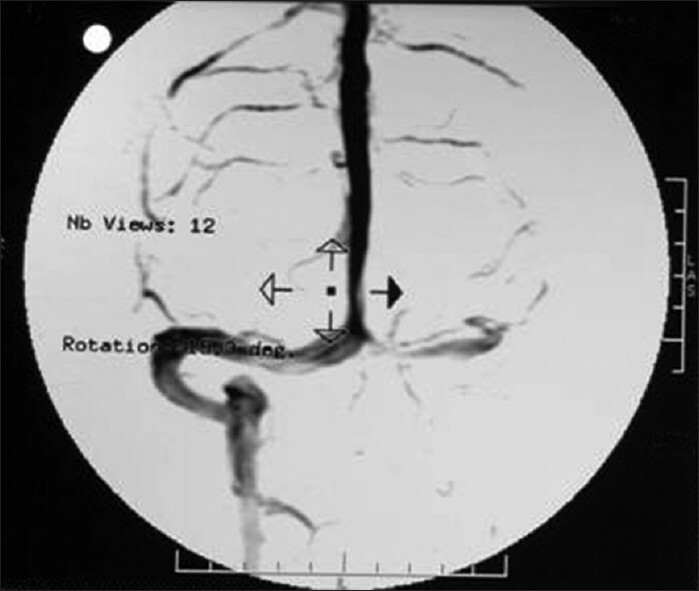 Davison SP, Facer GW, McGough PF, McCaffrey TV, Reder PA. Use of magnetic resonance imaging and magnetic resonance angiography in diagnosis of sigmoid sinus thrombosis. Ear Nose Throat J 1997;76:436-41. 7. Bonduel M, Sciuccati G, Hepner M, Torres AF, Pieroni G, Frontroth JP. Prethrombotic disorders in children with arterial ischemic stroke and sinovenous thrombosis. Arch Neurol 1999;56:967-71. 8. Crowther MA, Kelton JG. Congenital thrombophilic states associated with venous thrombosis: A qualitative overview and proposed classification system. Ann Intern Med 2003;138:128-34. 9. Rand JH. Lupus anticoagulant and related disorders. In: Beutler E, editor. Hematology. 6 th ed. New York: McGraw-Hill; 2001. p. 1715-33.